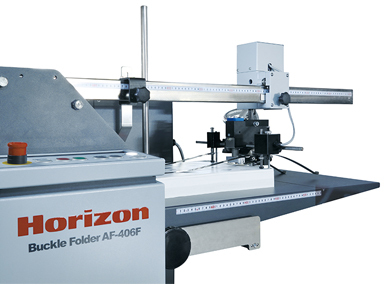 Application flexibility: The AF-406F provides application flexibility, especially for the insert and pharmaceutical markets. 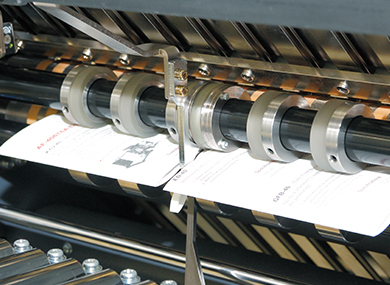 The system supports sheet sizes from 1.97” x 3.94” up to 16.92” x 25.98”, and small folds down to 0.79” can be performed. 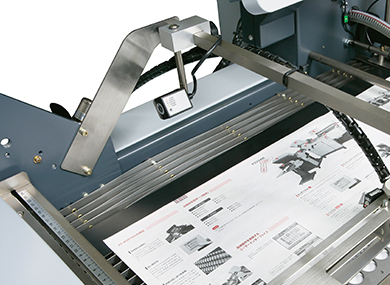 Efficient setup and production: The AF-406F has 17 pre-set fold patterns. For production efficiency, 200 custom jobs can be stored in memory for easy recall, with automated make-ready in seconds. Easy-to-use touchscreen controls: A user-friendly 10.4” color touch-screen control panel displays all common fold formats and sheet sizes for easy selection and automated setup. The scoring position can be adjusted in units of .1mm using the scoring navigator, and the scoring position can be read and saved into memory. Allows for sheets up to 35.5 inches long to be fed. 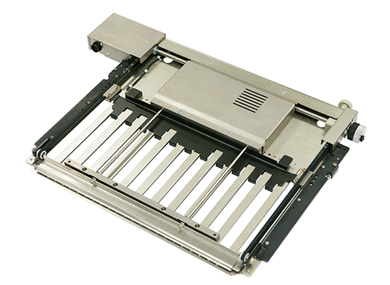 A broad range of applications can be performed with the Mobile Knife Unit, both right angle and parallel direction folds can be processed depending on the desired fold pattern. 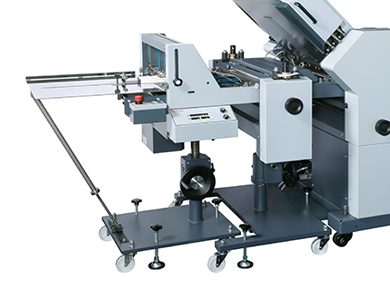 ED-40S increases efficiency for sheet packaging and batch kicking function allows for accurate counting, and the PR-40S presses folds tightly to reduce packaging and shipping costs. Can be setup quickly and easily for precise, accurate closed-gate folding. High performance barcode reader that reads codes to find errors. 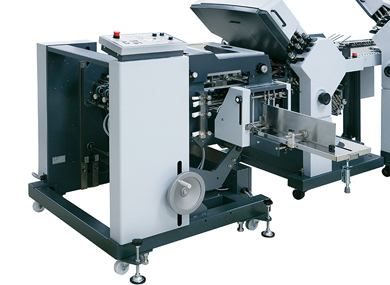 Allows for strip trimming in the parallel fold section, and can be performed using slitters for multiple-up jobs. 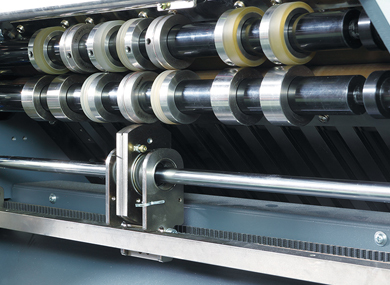 Stripped width can be adjusted in 1 mm intervals from 3 mm to 10 mm.